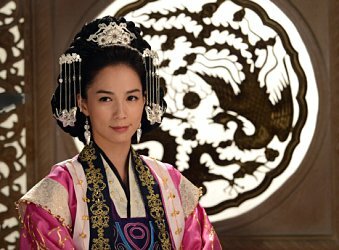 Scheda: Nazione: Corea del Sud - Produzione: Korean Broadcasting System (KBS) - Distribuzione: Korean Broadcasting System (KBS) - Soggetto: Yoo Dong-yoon, Kim Seon-deok - Formato: Color, serie tv in 70 episodi più 5 episodi speciali - Durata: 50' ogni episodio. 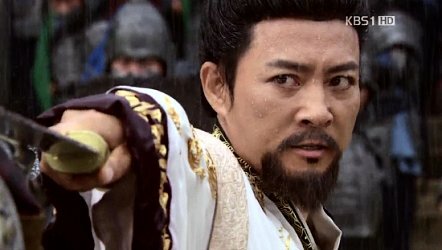 Cast: Su-jong Choi, Il-hwa Choi, So Young Choo, Eun-hee Hong, Dong-jik Jang, Dong-hwan Jung, Yu-suk Kim, Young-Ah Lee, Ji-ah Min, Young Hak No. Plot Summary, Synopsis, Review: IMDb - en.wikipedia.org - asianwiki.com - forums.soompi.com - dramabeans.com - themoviedb.org - nautiljon.com - asiapoisk.com - trakt.tv: «This drama is a story about Kim Chun-chu, who led the planning and realization of the unification of three ancient kingdoms - Koguryo, Baekjae and Shilla - and achieved the restoration of Shilla Kingdom. 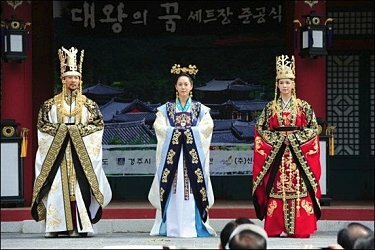 He was the first Shilla king to become king from the "jingol" class at a time when only those from the "songgol (royal family)" class could be king. He was a master of diplomacy endowed with a brilliant diplomatic sense, a fact that was acknowledged by neighboring countries' leaders, such as Taejong of Dang Dynasty, Yeongesomun of Koguryo and Emperor Tenji of Japan. 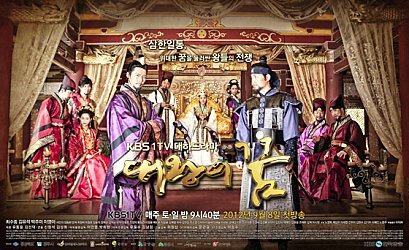 This drama depicts the turbulent success story of a man who was born a ruined royal offspring and was credited with realizing the first-ever united kingdom on the Korean peninsular, as well as the exemplary friendship between him and General Kim Yu-sin, his political rival as well as a lifelong friend. The Shilla people praised Kim Chun-chu as the king who saved the world. However, from the perspective of a nationalist view of history, he is being underestimated harshly. 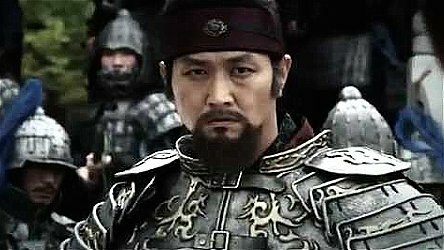 Danjae Shin Chae-ho criticized the unification of three kingdoms led by Shilla as "an event that killed brothers by inducing burglars from outside". Was Shilla's unification a negative event that attracted foreign power to the Korean peninsular and made the unification territorially incomplete? Is Kim Chun-chu a character who betrayed the national independence for the unification of Shilla?». Conosciuto anche con i titoli: The Great King's Dream; Dream of the Emperor; Dream of the King.